It's more of a tweak than a rebranding. Both the home and away uniforms have been cleaned up and given a more "classic" look, all the rage these days across the NHL. 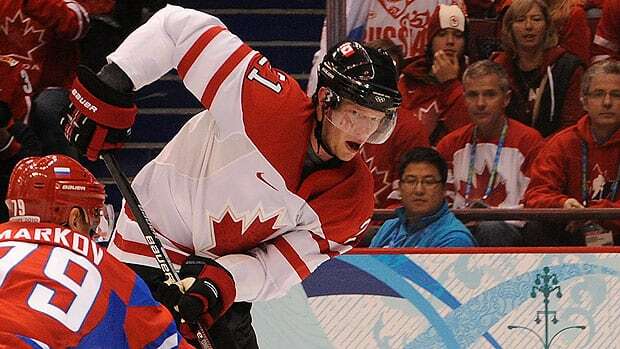 I like it a lot, but it bears more than a passing resemblance to Hurricanes captain Eric Staal's other team, Canada--with both the white stripes on the red jersey, and the red shoulder yoke on the white jersey, with black piping around the names and numbers. With that said, they're great. 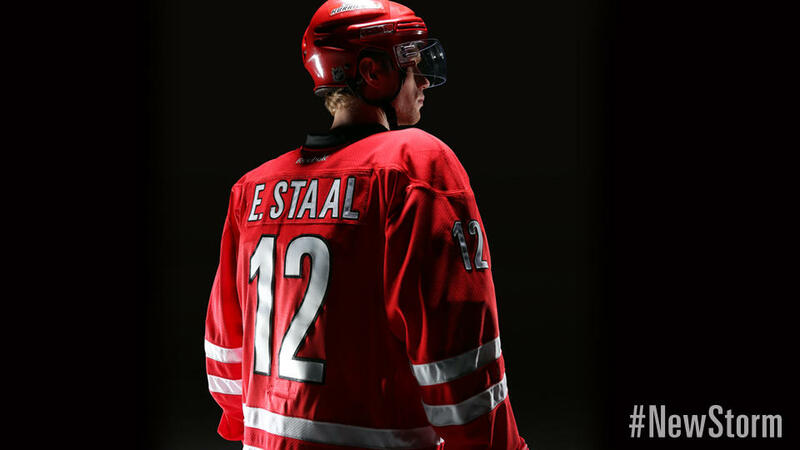 The simplified name and number font is a huge step up from the italicized "NASCAR" font they used before, and I enjoy the red shoulder yoke on the away sweater. My biggest gripe is that in the process of otherwise-smart simplification, the jerseys have lost a bit of character. 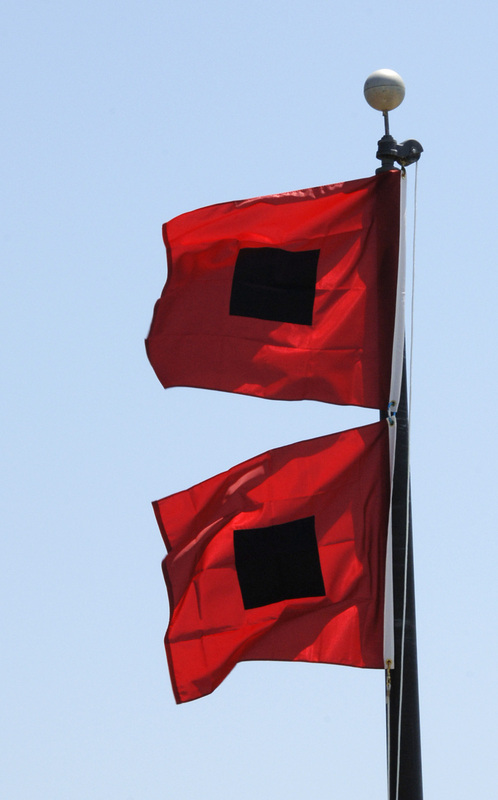 I particularly miss the square hurricane warning flag pattern around the bottom of the jerseys. The Hurricanes also announced their existing black third jersey will continue to be worn next season. It's a bummer those jerseys won't be retired, or at least cleaned up like their other jerseys were. This is another "simplified" jersey update. Gone (for the most part) is the drab black of the last two decades, replaced by glorious green--the most under-appreciated color in sports. And luckily, it's not a super dark, almost-black green either like they've worn before; it's green green! It even carries over to a substantial amount of green on the white away jersey. But of course, they didn't abandon black altogether. 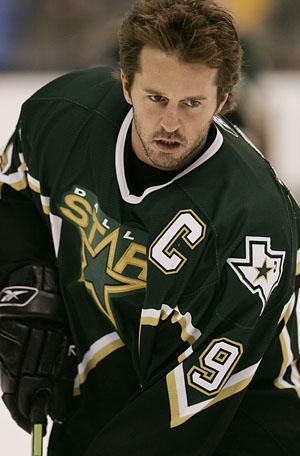 I wish instead of black detailing, they had used the gold from their previous uniforms... particularly the bright gold detailing from their time as the Minnesota North Stars. Overall, these are good sweaters but the black detailing detracts from the brightness. I'm torn on the new logo. On one hand, it's a step up from their last logo. But I still don't think it's great. I don't know if there's any way to make a really great logo out of an unremarkable name like "the Stars."